If you are looking for a personal, breezy hagiography of Winston Churchill then Boris Johnson’s THE CHURCHILL FACTOR: HOW ONE MAN MADE HISTORY will be of interest. Johnson’s effort is not a traditional biography of the former occupant of 10 Downing Street, but a manifesto imploring the reader to consider the genius and greatness of Churchill. Johnson is concerned that as time has passed fewer and fewer of the non-World War II generation have forgotten or are not aware of Churchill’s accomplishments as he states at the outset “we are losing those who can remember the sound of his voice, and I worry that we are in danger….of forgetting the scale of what he did.” For the author, World War II would have been lost, if not for Churchill, and he further argues that the resident of Chartwell House and Blenheim Palace saved civilization and proved that one man can change history. Johnson’s writing is very entertaining. His phrasing is both humorous and poignant, i.e., “the French were possessed of an origami army! They just keep folding with almost magical speed.” In his description of Churchill, he looked “like some burley and hung over butler from the set of Downton Abbey. However, aside from the humor presented, Johnson has a serious purpose as he seems to want to align himself with Churchill as a means of furthering his own political career. The question is what do we make of Johnson’s THE CHURCHILL FACTOR? Many who are familiar with Johnson’s career can foresee this Member of Parliament, mayor of London, former editor of The Spectator, and columnist for the Daily Telegraph pursuing the leadership of the Conservative Party, and at some point attaining the position of Prime Minister. By manipulating Churchill’s legacy as a comparison to certain aspects of his own life, Johnson may have hit upon a vehicle for his own political ascendency. Johnson suggests certain similarities with his hero, but then upon reflection he negates them, but for those who are familiar with the British political system, Johnson’s ambitions are clear. Johnson’s thesis rests on rehabilitating the less savory aspects of Churchill’s personality and politics, at the same time presenting him as the genius who saved the world from Nazism. Johnson strongly suggests when reviewing the political choices that existed in England as the Dunkirk rescue was ongoing in May, 1940 there was no alternative to Churchill. Neville Chamberlain and Lord Halifax were both appeasers and wanted to make a separate peace with Germany. Johnson reviews Churchill’s career as a journalist, soldier, and social reformer to reflect on his preparation for taking on Hitler, and does not find him wanting in any area. The author tackles the opposition to Churchill within the Conservative party and why he was a lightning rod for his opponents. Johnson explains why he was so despised by many head on. He argues that Churchill, like his father Randolph, suffered from a lack of party loyalty and we see that both followed their own path when it came to shifting parties and then returning to the conservative fold. In addition, Churchill helped bring on ill will by always being a self-promoter and political opportunist. Churchill made a number of errors during World War I and later, in his career. The following come to mind: the fiasco at Antwerp in October, 1914, and Gallipoli in September, 1915 that forced many to question his ability as a military strategist when he was First Lord of their Admiralty. Further, Churchill’s ill-fated plan to block the Bolshevik victory in Russia after World War I, as well as fighting to prevent Indian self-government where not well thought out. Lastly, Churchill’s support for Edward VIII’s desire for a divorce and forfeiture of his throne angered many conservative back benchers. Johnson presents Churchill’s bonifedes as a military leader by spending a good amount of time reflecting on Churchill’s bravery. He discusses Churchill’s love of planes and desire to develop an air force. He reviews his combat experience in the Sudan, the Boer War, India and the trenches of World War I. He concludes that Churchill’s own personal bravery allowed him to ask whether other candidates in 1940 had the experience and demeanor to lead England against the Nazis. Johnson also tackles some of the negative charges against Churchill. For Johnson, Churchill is a social reformer in the context of being a capitalist and a free trader. He argues that next to his mentor, Lloyd George, Churchill had great concern for workers and the lower classes. For Churchill, workers were the bedrock of the British Empire and without them the empire would collapse. Johnson points to Churchill’s championing of Labour exchanges, a Trade Board Bill to enforce minimum wages for certain jobs, unemployment insurance with worker, government and employer contributions, a 20% tax on land sales in order to fund progressive programs and redistribute wealth. Churchill was concerned that if the needs of the workers were not met, unrest could “scuttle” British power overseas. One might argue that Churchill was somewhat of a hypocrite based on some of his racist and imperialist goals, Johnson would say that he was nothing more than being politically pragmatic. Perhaps Churchill’s “compassionate conservatism” was years ahead of George W. Bush. The author rests much of his argument on Churchill’s amazing work ethic and the motor of his exceptional brain. Johnson offers a great deal of evidence to support his claim, i.e., Churchill’s prodigious writing that earned him a Nobel Peace Prize for Literature at the age of seventy-five. Churchill’s work developing tank technology during World War I, his role in creating the boundaries for the Middle East, the partition of Ireland, and diplomacy during World War II to save England from the Nazis and rallying his own people. Lastly, the use of his personal charm to “drag” the United States into World War II. Once out of power Churchill sought to warn the west about Stalinist expansionism. His “Iron Curtain” speech in 1946 made public his concerns, but Churchill had internally warned his cabinet and FDR at least a year earlier. As in the 1930s when he warned about Nazism, as World War II came to a close he was seen as a war mongerer by many. Despite the fact that he was correct in both cases, this did not help him politically at home or in his relationship with President Truman, as he was soon out of office. 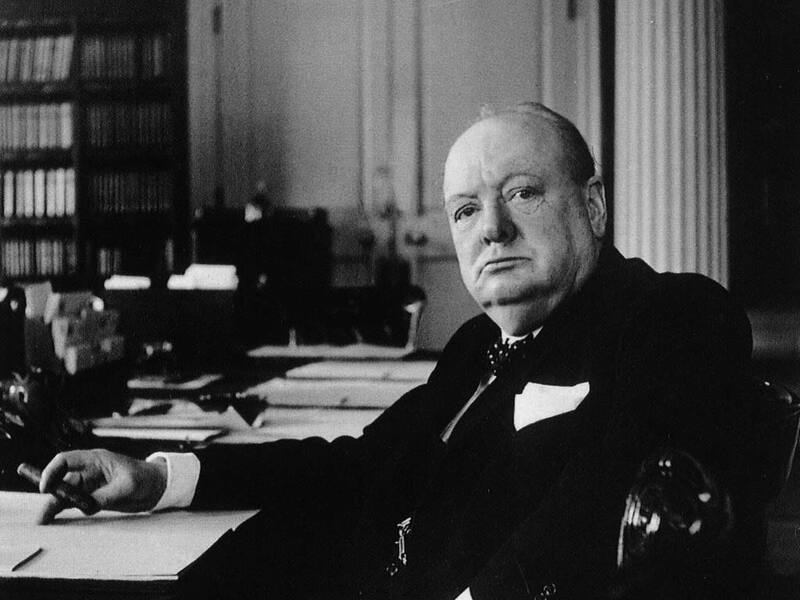 Once he returned to power in 1951, and with the death of Stalin in 1953, Churchill worked for a summit of the great powers as he was deathly afraid of a thermonuclear war. Though he did not achieve his goal, after he left office for good in 1955, a four power summit did take place. For Johnson, in the end, Churchill’s ideas prevailed, from his speech in Fulton, MO in 1946 to the final collapse of the Berlin Wall in 1989. Churchill had called for rapprochement between France and Germany, and a united Europe all of which was eventually achieved. One of the major blemishes that exists in dealing with Churchill’s career lies in the sands of the Middle East. 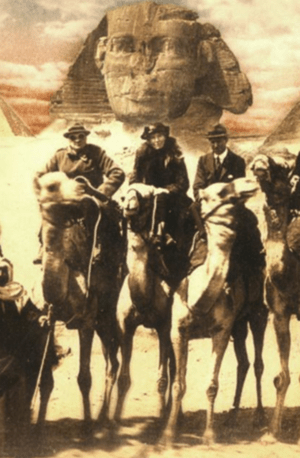 As Colonial Secretary he had to undue the negative results of the Hussein-McMahon Correspondence, the Sykes-Picot Agreement, and the Balfour Declaration all issued during World War I making very contradictory promises that Johnson describes as “Britain sold the same camel three times.” The story of the Cairo Conference and Churchill’s influence on the creation of Iraq, Transjordan, Syria, and Palestine has been told many times, but even Johnson must acknowledge that what Churchill had created, though it lasted for decades was bound to come a cropper. Further Churchill’s optimism concerning Jewish-Palestinian relations was ill-conceived. Johnson, as his want, does not blame Churchill, but the selfishness of both sides, particularly the lack of Arab leadership, a rationalization to deflect away from Churchill anything the author finds unacceptable. Despite his errors the author proposes that Churchill, even in old age, was a man ahead of his times, and based on his amazing career who is to say that Johnson was wrong. Perhaps the major criticism one can offer is how the author presents his material. I for one enjoy objective biography, not subjective hero worship, particularly when there are so many instances of a lack of source material to support the author’s conclusions. However, if one is interested in a fast read encompassing Churchill’s entire career, Johnson’s effort could prove to be intellectually challenging, and entertaining.